Today, with its 16 million population Istanbul is the largest city of Turkey (not capital city of Turkey!) and one of the largest cities in the world. 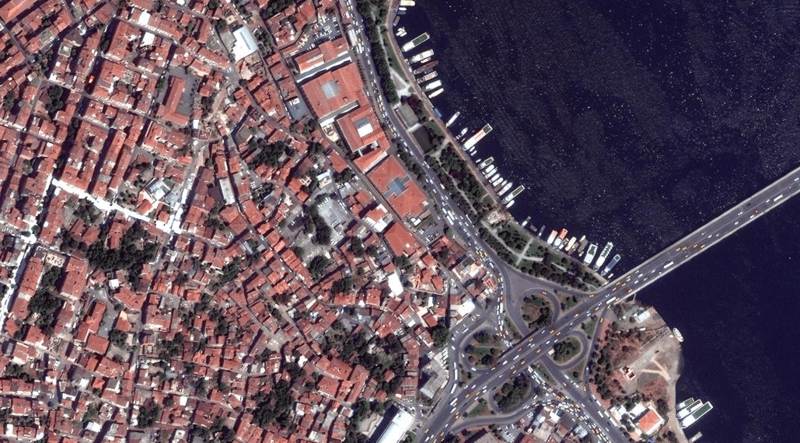 Istanbul’s population increased dramatically in the 1970s and 80s and this increase shows itself in aerial photos as well. 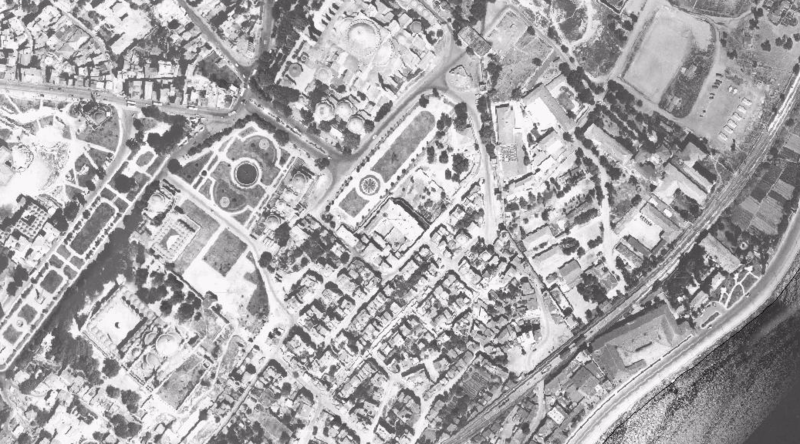 In this post we juxtaposed the aerial photos of eight landmarks of Istanbul that were taken in 1966 and 2017. 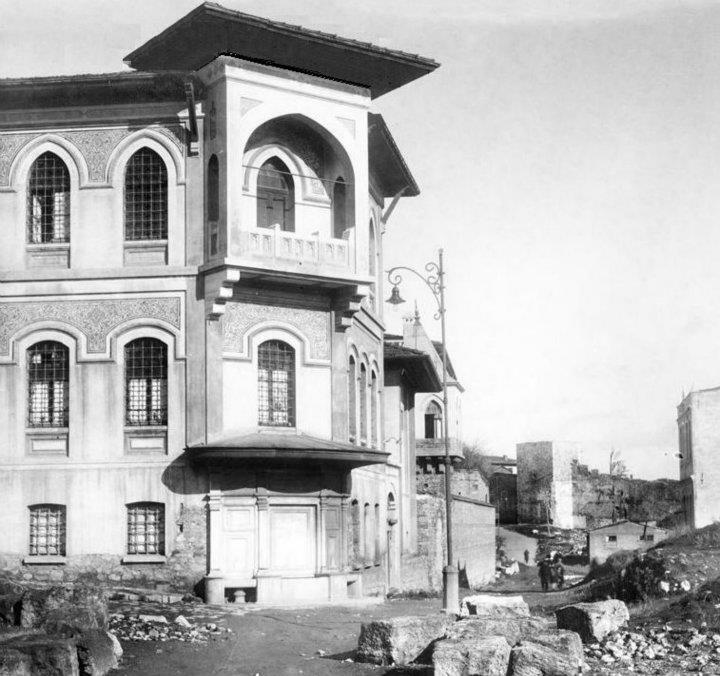 Built right after the World War I in 1918 in the heart of Istanbul’s historic peninsula (Sultanahmet), the Sultanahmet Jail was the first prison built in the central Istanbul during the Ottoman period. 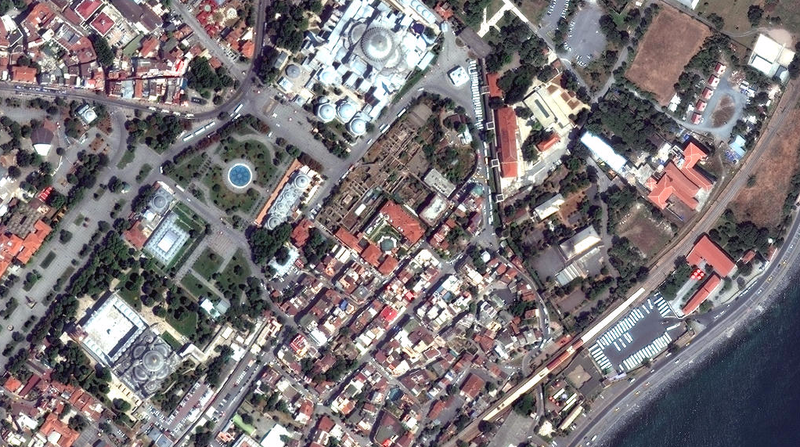 The prison was very close to the most famous monuments of Istanbul such as Blue Mosque and Hagia Sophia. The jail was built in “Turkish Neoclassical” architectural style and functioned until 1969. Later in the 80’s it was used as a jail for a brief time. 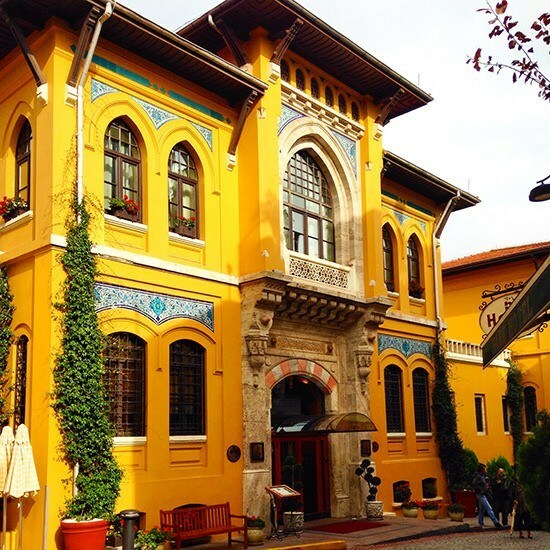 Finally in 1992, deluxe hotel chain Four Seasons converted the former Sultanahmet Jail into a luxury hotel in 1996. 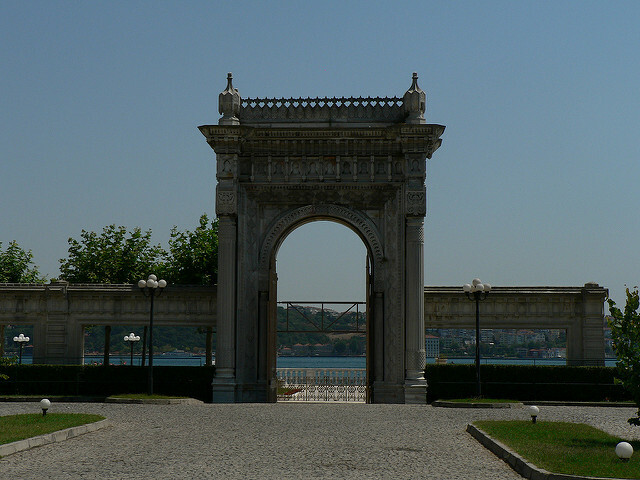 Today Four Seasons Sultanahmet is open for its guests with its 54 rooms ands 11 suites. 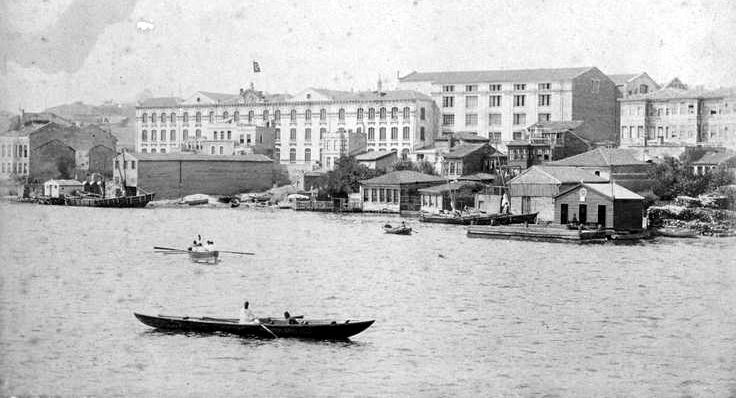 Commissioned by Ottoman sultan Abdülhamid II, Cibali Tobacco Factory was built by two famous architects who built numerous landmarks in Istanbul: Alexandre Vallaury and Hovsep Aznavur in 1884. For more than one hundred years, Cibali Tobacco Factory produced cigarette, cigar, and tobacco until 1995. In 1995, the factory stopped functioning and left abandoned. 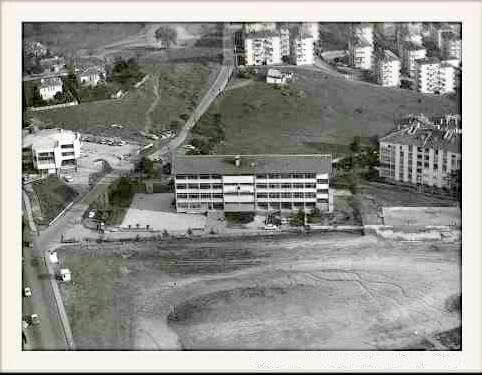 In late 1990s the Kadir Has Foundation purchased the complex and in 2002 the building was opened as Kadir Has University. 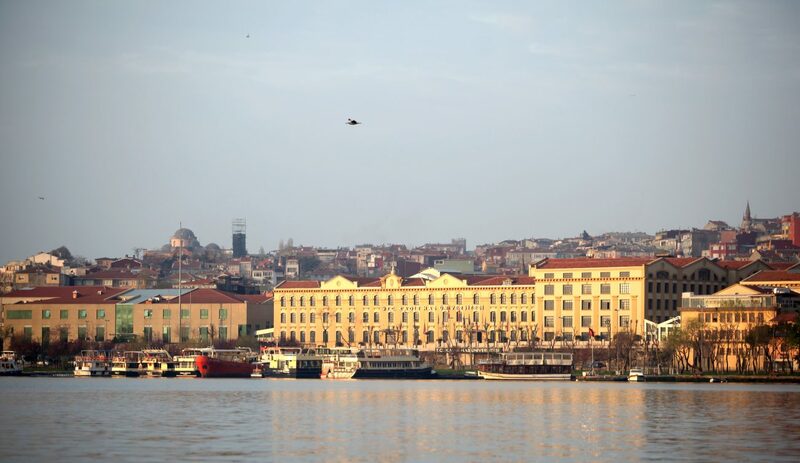 Since 2002, former Cibali Tobacco Factory is functioning as Kadir Has University and it is a beautiful Istanbul landmark overlooking the Golden Horn. 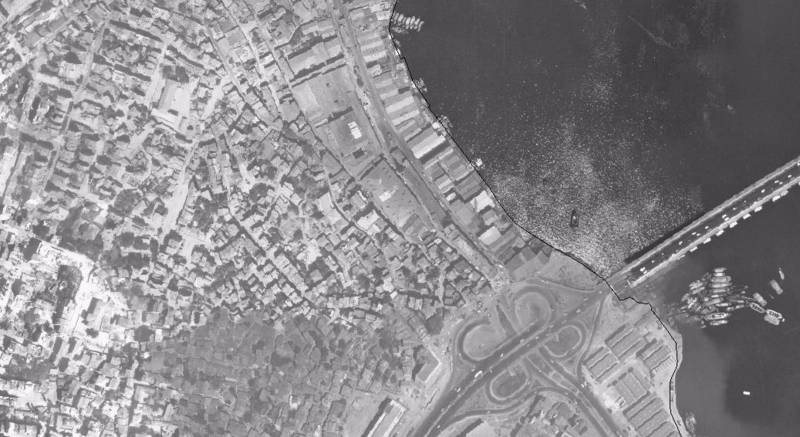 In addition, warehouses on the shore of the Golden Horn were destroyed after 1995. Built in 1964, Ali Sami Yen Stadium was inaugurated on December 20th with a friendly game between Turkey and Bulgaria. 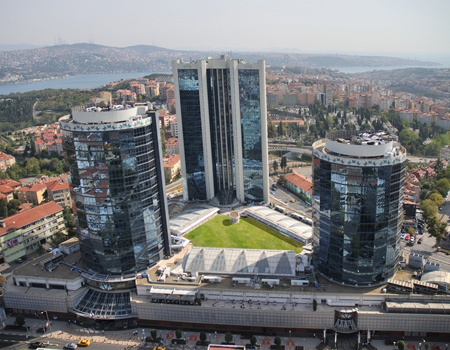 It was situated in Mecidiyeköy-Şişli, at the very center of the European side of Istanbul. 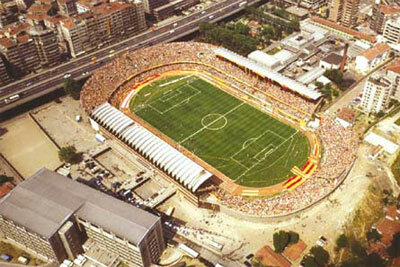 Ali Sami Yen Stadium was home to football team of Galatasaray Sports Club for more than 40 years. The stadium functioned until 2011 and it was nicknamed “Hell” by other teams’ supporters and players due to red-yellow colors of Galatasaray and torches, drums, flags, and noisy atmosphere to apply psychological pressure on visiting teams including Real Madrid, Manchester United, Barcelona, Juventus, Milan, and many others. Ali Sami Yen Stadium functioned until 2011 and was destroyed in 2012. 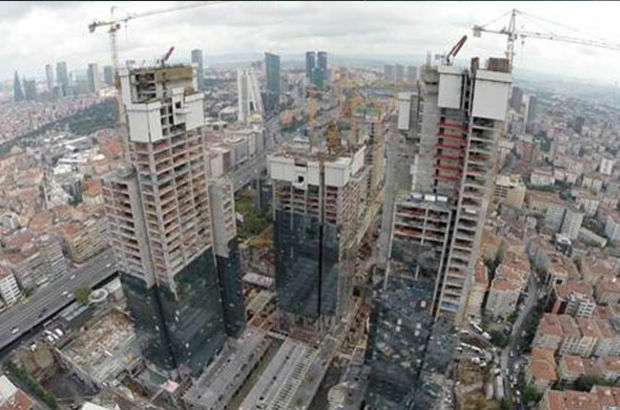 Since 2012, the construction on the site where the Ali Sami Yen Stadium has been continuing and it will be a luxury residential and business complex with a name of Torun Center. 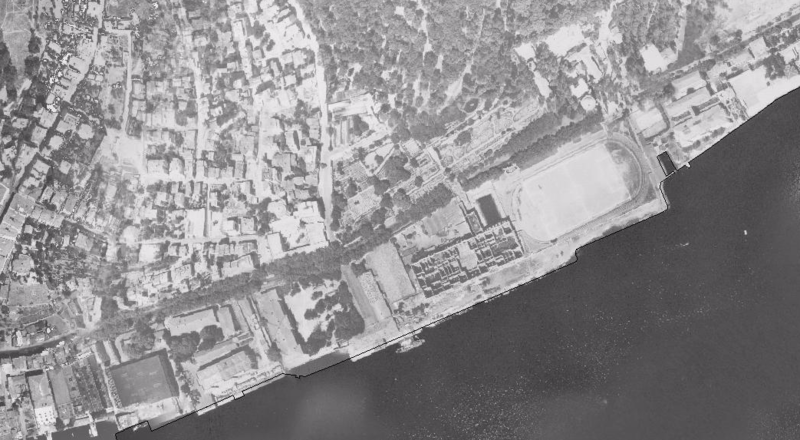 Situated in Ortaköy on the shore of the magnificent Bosphorus Strait and next to the Çırağan Palace that was an Ottoman imperial palace in the 19th century, Şeref Stadium was built in 1933 and it was home to football team of Beşiktaş JK between 1933 and 1947. 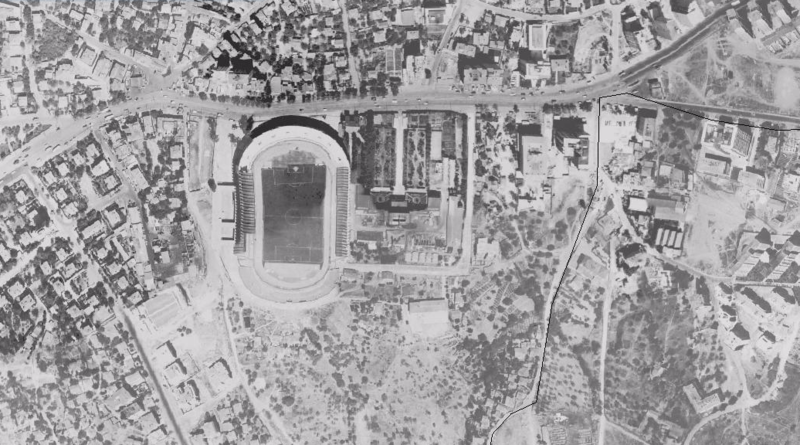 After the construction of İnönü Stadium, minor league matches were played at Şeref Stadium and it functioned until 1986. 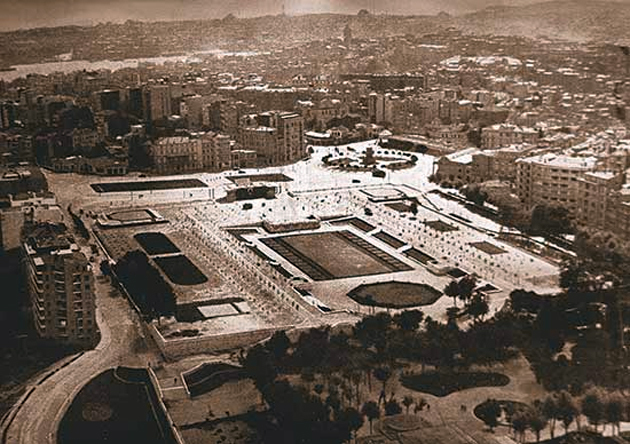 In 1986, Kempinski Hotel Chain rented the Çırağan Palace Complex and Çırağan Palace Kempinski Hotel was opened in 1990 and since that time swimming pool, garden, and carpark of Çırağan Palace Kempinski Hotel lie on top of the former Şeref Stadium. 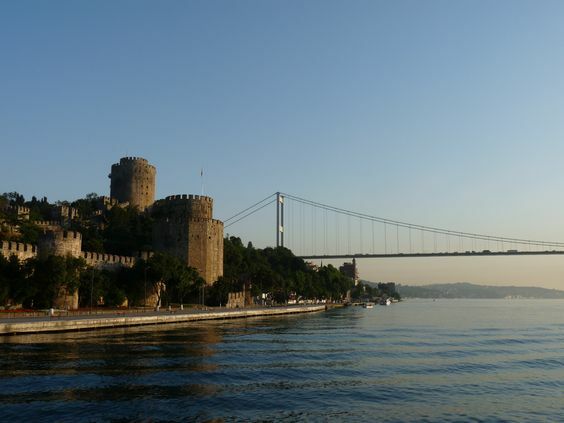 Bosphorus is a natural strait separating Europe and Asia continents geographically. 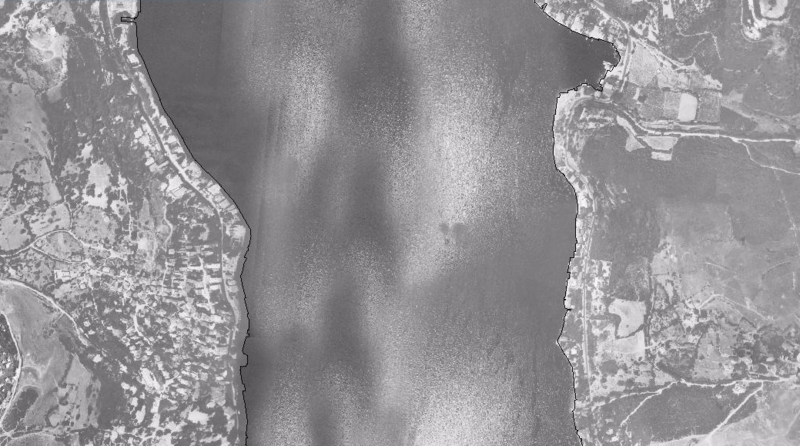 It also divides the city of Istanbul into two. 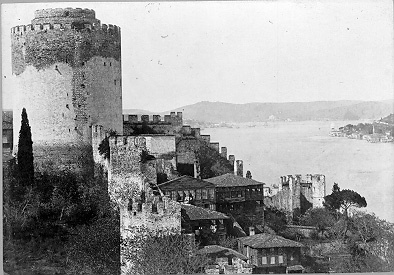 Following domestic immigration the population of Istanbul increased dramatically in 1970s and 80s. As a result of this, traffic became a major problem of the city. Therefore, the construction of Fatih Sultan Mehmet Bridge (also known as Second Bridge) started in 1986 and was opened in 1988. 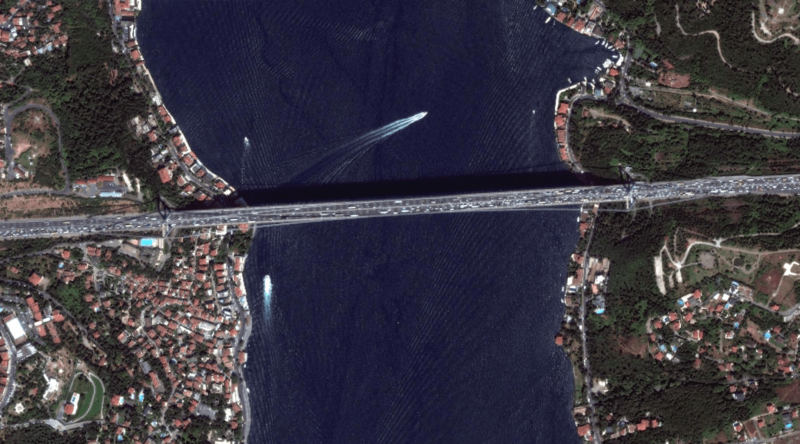 Fatih Sultan Mehmet Bridge is situated between Rumeli Hisarı and Kavacık neighbourhoods. It is 1510 meters long and 39 meters width with a 64 meters height from the sea level. 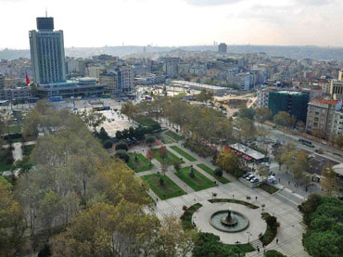 Built in 1943 by famous architect and urban planner Henri Prost, Gezi Park is a public park situated in Taksim that is the beating heart of Istanbul. This area of the city is one of the least changed areas of the city. 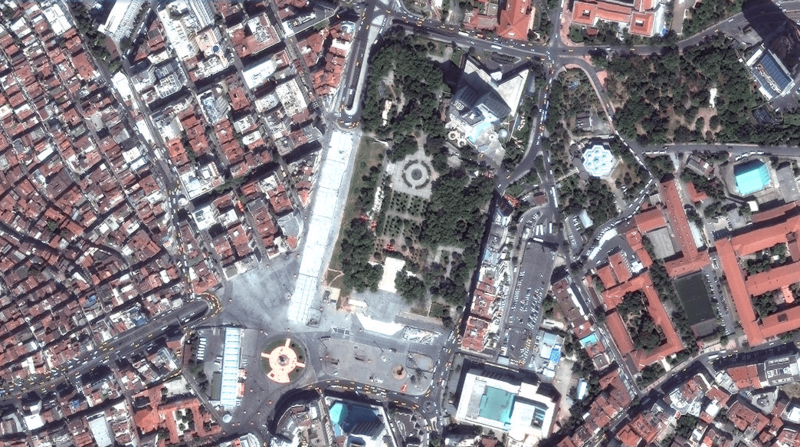 Gezi Park became globally famous following the Gezi Park protests in 2013. 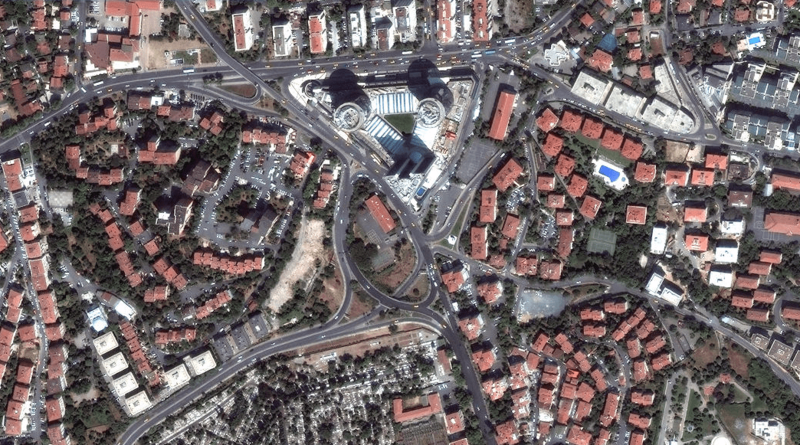 Situated in Etiler, an upscale residential neighbourhood, Akmerkez is among the very first shopping malls opened (in 1993) in Istanbul. 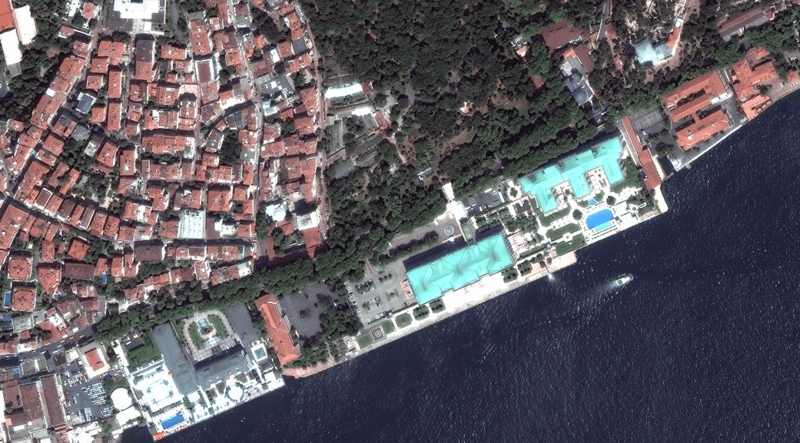 It covers an area of 180,000 m² and consists of four storeys. 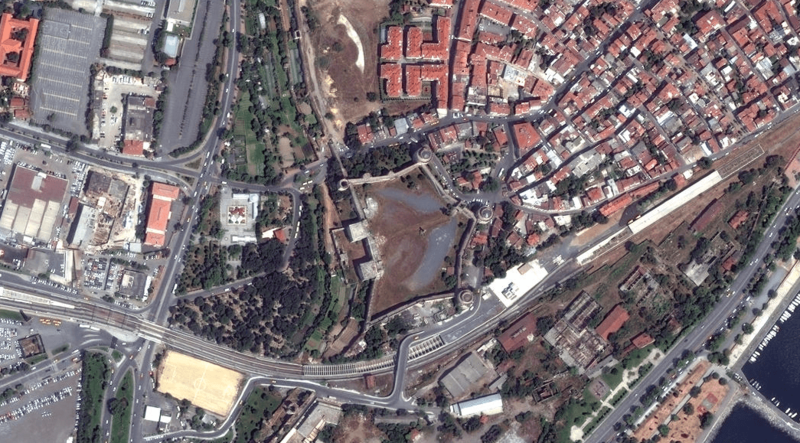 Like the area it was built on, the Akmerkez is triangle in shape. 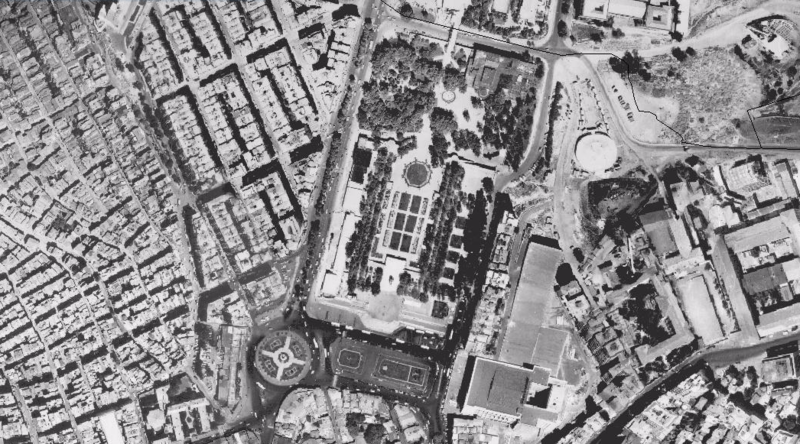 It is obvious from this aerial photo that Etiler -famous for its upmost restaurants, cafes, shops, nightclubs as well as with private villas and residences- changed dramatically between 1966 and 2017. 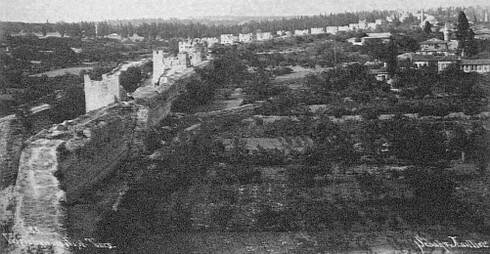 At the beginning of the 5th century CE Byzantine Emperor Theodosius built tri-partite land walls (Theodosian Land Walls) to the west of old Istanbul (historic peninsula) and the outer defense system was a 10-meters long moat. 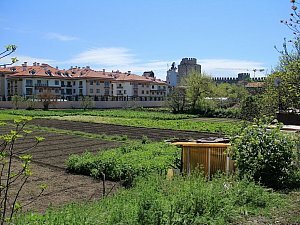 We know that starting from the 6th century CE Istanbulites started to make agriculture on this moat and made it an orchard. This orchard tradition has been continuing for more than 1500 years. 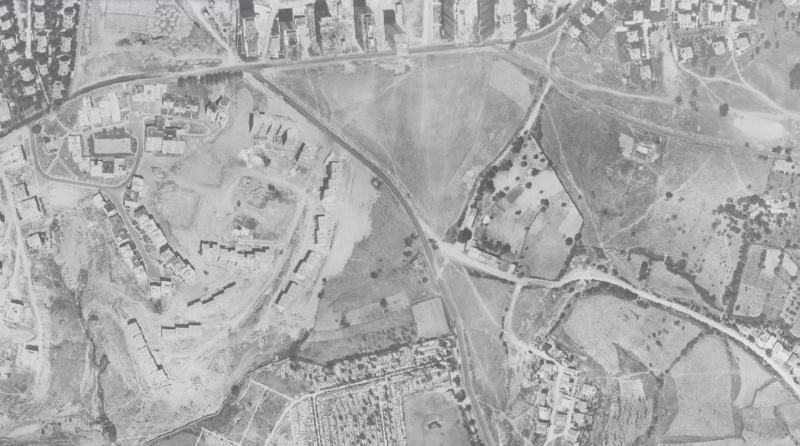 However, Yedikule Orchard (Yedikule Bostanı) has been threatened by poorly planned urbanisation in the last a few years as it is noticeable from the aerial photo above. P.S. Please feel free to comment below or send your favorite spots in Istanbul to info@istanbultourstudio.com . 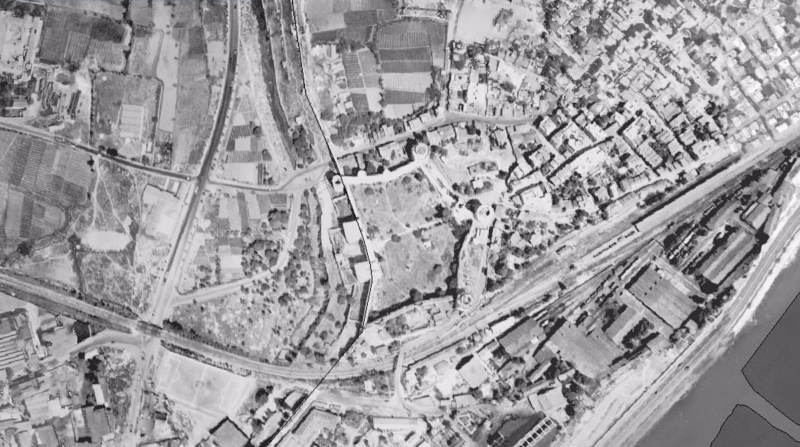 We will send you its/their aerial photos from 1966.